‘The Walking Dead’ is an American horror drama TV show. The story centers around sheriff’s deputy Rick Grimes who awakens from a coma and discovers that flesh-eating zombies have taken over the world after an apocalypse. ‘Toy Story’ is a computer-animated Pixar movie that described the lives of a few anthropomorphic toys which come alive whenever people are not present. Two of the main characters are Woody, a cowboy doll, and Buzz Lightyear, an astronaut action figure, whose relationship is a center story line of the plot. 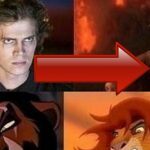 Unbelievable as it may sound, the horror TV show and the animated movie have more than just few similarities in their plot lines. In both the main hero is a sheriff and has a kid whom he loves more than anything in the world. Well, in ‘Toy Story’ the kid actually owns the sheriff but that’s just a minor detail. Let’s go on : the sheriff’s loving kid suddenly becomes fond of the main character best friend who happens to be a ‘macho’ officer of the law. Both sheriffs get into a fight with their (now) enemies and eventually kill them. While all this is happening the two sheriffs are being surrounded by armies of disfigured shambling corpses. 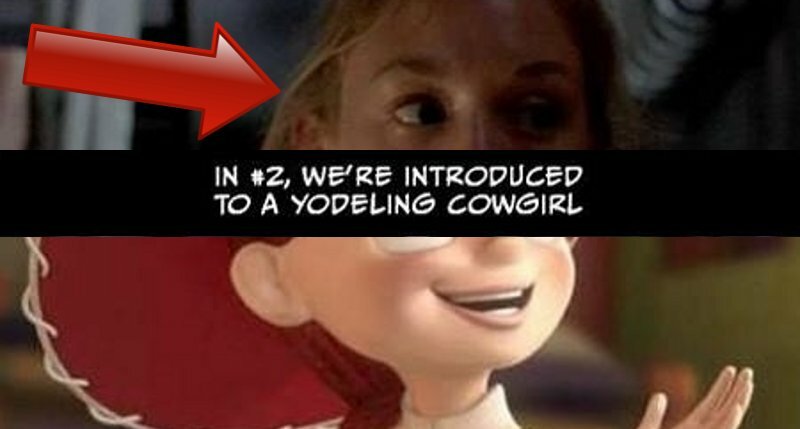 The similarities between the series and the movie continue in their sequels : in both there are a yodeling cowgirl and a white-bearded old man with a walking stick. Later, both main characters discover a peaceful gated community full of shiny happy people and guided by a fair leader. However, things have a bad turn in both movies : the peaceful communities turn out to be ones you can’t just walk away from. In the end both blond girls realize they have made a huge mistake trusting people they shouldn’t have.